Tunnel could have an “adverse impact” on Stonehenge, an advisory body on World Heritage Sites has warned. A planned dual carriageway and road tunnel could have an “adverse impact” on Stonehenge, an advisory body on World Heritage Sites has warned. The International Council on Monuments and Sites (Icomos), which advises Unesco, has expressed concern over plans for the project in Wiltshire. The group wrote to Transport Secretary Patrick McLoughlin earlier in November. An announcement about upgrading the whole A303 is expected in the chancellor’s Autumn Statement. The options include a 1.6-mile (2.5km) tunnel or two longer 1.8-mile (2.9km) tunnels that would run south of the current A303 route. 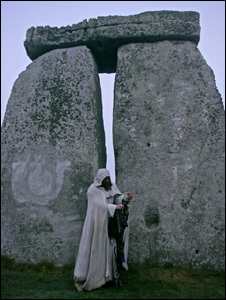 Proposals to build a tunnel beside Stonehenge were dropped seven years ago because of cost, but lobbying has continued from local councils. Despite the road layout at Stonehenge being changed, the stretch of single carriageway still has many traffic jams. In a letter seen by the BBC, the UK branch of Icomos said it wanted the government to “fully engage” with the World Heritage Committee to find a solution that “respects and maintains” the value of the “iconic and unique site”. “We appreciate the very real need to address the issue of the A303 and recognise that a tunnel could have beneficial impacts on parts of the World Heritage property,” Icomos said. The Department for Transport said it had “worked closely with key organisations” and “no decisions” had yet been made. 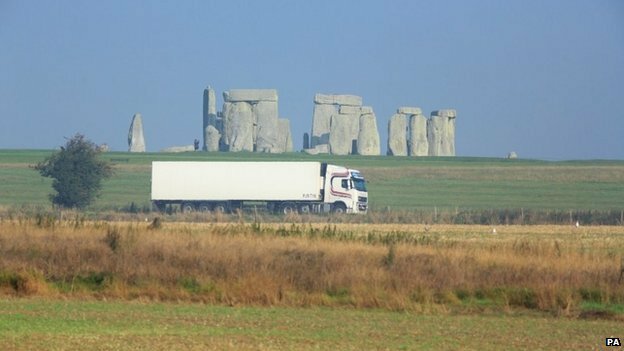 English Heritage, which runs the Stonehenge site, said the bottleneck road was “highly detrimental” to the ancient monument. “We have met with a representative of Icomos UK to explain the work we’ve done and sought feedback on it,” a spokeswoman said.